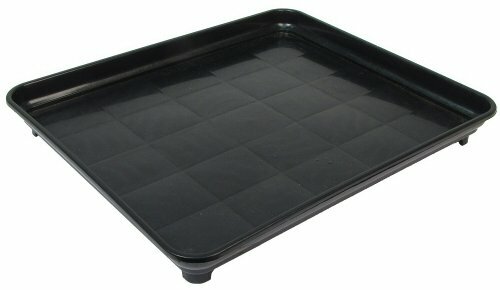 A Bonsai Humidity Tray is an essential Bonsai accessory. Bonsai Humidity Trays are used to protect surfaces and maintain moisture levels around Bonsai between watering. Outside measures 11" x 13", Inside measures to fit bottom of a pot 9" x 11"
To use your Bonsai Humidity Tray, put the Bonsai Tree in the tray. As you water your Bonsai, the excess water will drain from the holes in the bottom of the Bonsai container onto the tray. Keep some water in the tray at all times to provide a humid environment for your Bonsai.